fab four: limited edition prints. | owl's house london. fab four: limited edition prints. They say: Hopf has worked in a wide range of media, offering an absurdist-and ultimately utopian-exploration of artistic forms and everyday conventions. 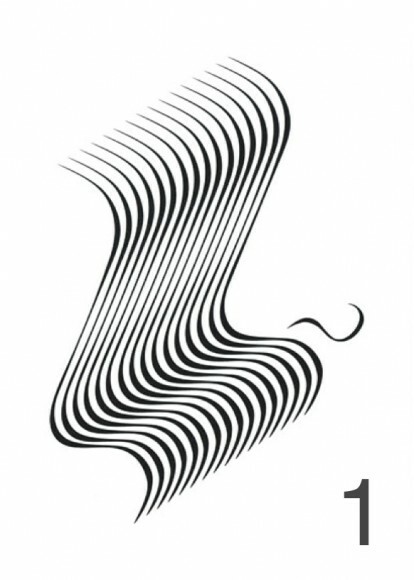 This silkscreen print was inspired by the work of Bridget Riley, whose style is here unexpectedly used to depict a nose. I say: what fun! 2. Typeseat print, designed and manufactured by Tim Fishlock. Edition of 300 prints. 50 x 70cm. Screen print by Tim Fishlock using classic chairs to depict the letters of the alphabet. 3. 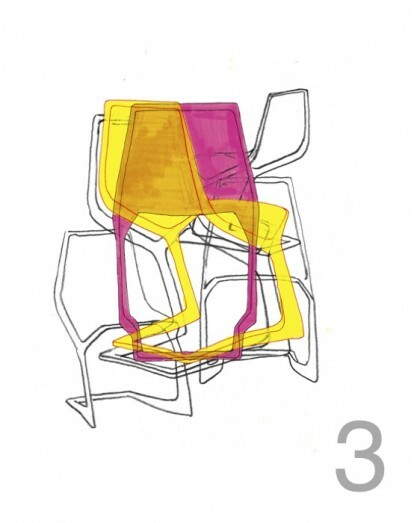 The Chairs, limited edition print by Konstantin Grcic. Screen print on 280gsm paper, A2 size. Available from the Design Museum shop. 4. 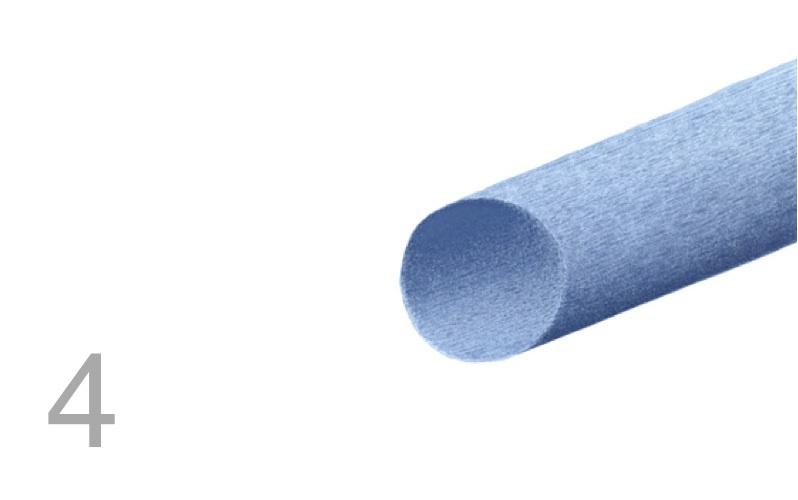 L03, 2012, designed by Ronan Bouroullec, manufactured by Wrong Shop. Digital print using mineral-based Ultrachrome K3 pigmented inks with resin. Hahnemuhle certified 310g Museum Etching paper. Hand-drawn sketches from the individual collections of industrial design brothers Ronan and Erwan Bouroullec produced in series as prints. The original works formed part of recent exhibitions at the Vitra Design Museum and Centre Pompidou Metz. Fab four limited edition prints. Which, if any, do you like? This entry was posted in fab four. and tagged design, Design Museum shop, ICA, Judith Hopf, Konstantin Grcic, limited edition, Mollino, prints, Ronan Bouroullec, Wrong Shop on March 14, 2013 by owls house london.. I love modern art! Modern art and photography are the only mediums I personally put on my walls. I think I might have to order #3, the chair print is so cool. Thanks for sharing, I have been looking to add a new piece of art to my home. 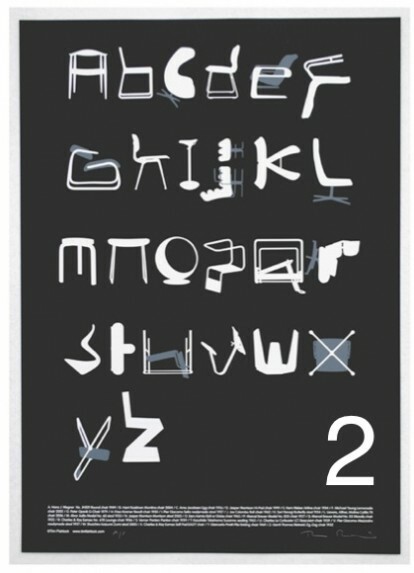 I’ve just come across that chair alphabet poster a couple of days ago and loved it right away! Thanks for stopping by at Mina Moka, I’m enjoying your blog a lot, too – I think we share quite a few ideas and views. I’ll be back! Pingback: fab four: colour-dipped things. | owl's house. Pingback: gorgeous graphics (and a good cause). | owl's house london.